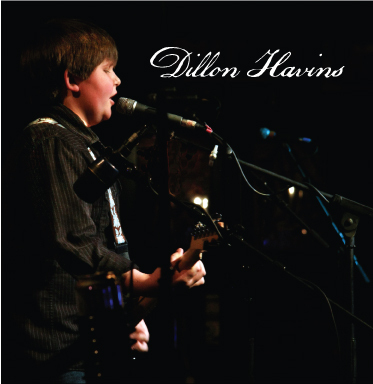 Dillon Havins will be making his first TCMF appearance this year. Come see this dynamic young performer Tuesday, April 23 at 8pm at Central Market North. With a dynamic stage presence, powerful vocals, and the audacity an old-pro, 13 year-old Dillon Havins is turning heads and making a real name for himself in Austin, Texas. He is a natural-born, high energy entertainer and has performed for audiences as large as 3000. Dillon is ALWAYS a true crowd pleaser to audiences of all ages. In 2012, Dillon and his adult backup band (Dillon Havins & Friends) made it to the Las Vegas round of NBC’s America’s Got Talent meaning that the band was one of the top 100 acts in the nation. In 2013, Dillon Havins & Friends is performing at Rodeo Austin (2nd year), Rodeo Houston, and The Burnet Bluebonnet Festival. Last year, being the youngest contestant, Dillon won third place in the Old Settler’s Music Festival Youth Talent competition in Driftwood, TX. Dillon Havins & Friends regularly host the Antone’s Monday night blues jam in Austin. Dillon loves the blues and also performs a variety of genres including Americana and rock. He performs original material and covers. Dillon Havins & Friends deliver 2-3-hour sets. To learn more about Dillon, please check out his website.